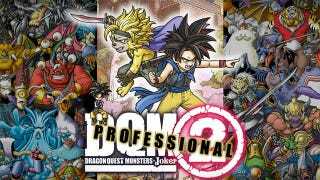 According to sales tracker Media Create, Square Enix's Dragon Quest Monsters Joker 2 Professional topped the charts once again in Japan. Its closest competitor was portable rhythm action game Patapon 3 for the PSP. And pretty everything else on this list qualifies as "evergreen." You got your Pokemons, your Nintendogs, your Monster Hunters... they're all here! Read on for the bestselling games in Japan for the week of May 2 to 8, a list full of familiar faces. Then stick around for the hardware chart!